We help clients fill their sales pipelines with future customers. Talk to us about building a powerful lead generation program for your organization. Generating qualified leads and nurturing them to a sale takes a strategy that puts your prospects in control of their buying journey. We help you develop, execute, and fine-tune a lead generation program that fills the top of your sales funnel with qualified lead by giving them the information and guidance that sparks buying decisions. 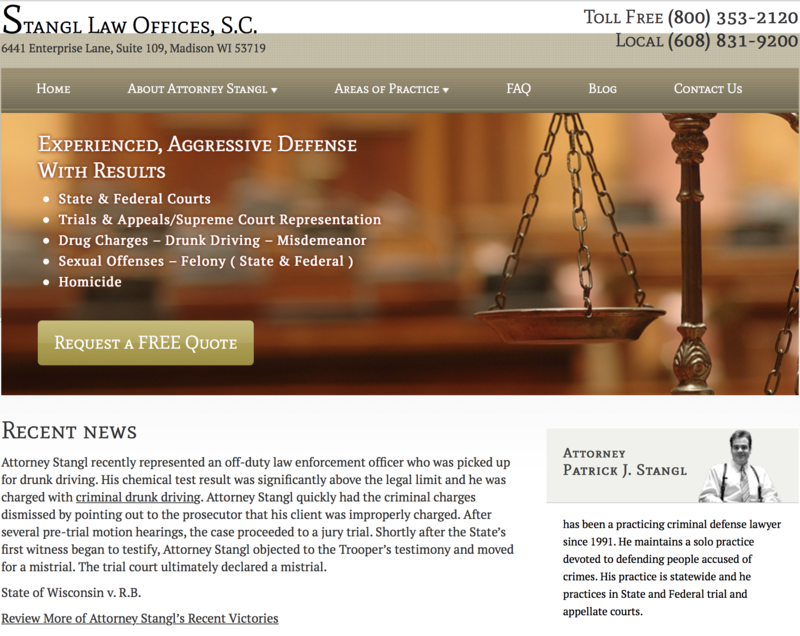 A local criminal defense law firm approached us with a problem: a poor web presence and thousands of dollars a month in wasted ad spend. Good leads were few and far between and the entire marketing budget was achieving next to no return. To turn a trickle of lackluster leads into a steady stream of valuable clients, we made radical improvements to the firm’s website and implemented a local content marketing strategy – all while pairing back ad spending to a small, hyper-targeted campaign. In just the first year, we achieved a 55% increase in lead volume. By the end of 2018, we project a further 85.5% increase in lead volume compared to the year before. Here’s how we did it and continue to do it. A website re-built and optimized for conversion. The firm approached us with a website that was deprecated in virtually every way – poor structure, stale design, little information, and no opportunities for conversion beyond a phone number. Over the course of our partnership, we’ve rolled out two new websites, both combining the latest marketing automation tools with a modern look and feel exuding credibility and authority. A content marketing strategy that replaced expensive ads with free organic traffic. Prior to partnering with us, the firm had been spending $3,000 to $5,000 each month in Google ads that didn’t work. 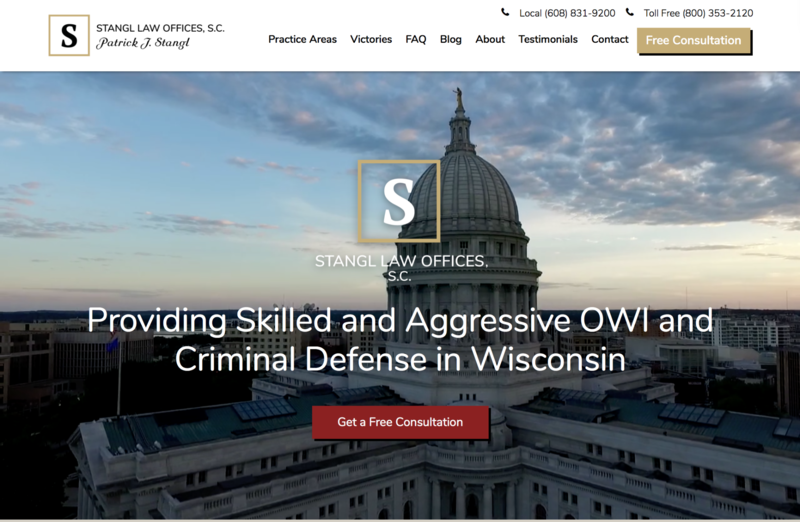 Instead of appearing in front of prospects searching for local attorneys and answers to legal questions, they were being injected on sites all over the web. Over time, we reduced the firm’s reliance on expensive advertising by publishing hundreds of high-quality, keyword-focused blog posts that appeared in search results organically. Google rewarded this helpful content with higher search ranking, eventually capturing the top free real estate for some of the most valuable keywords. This began driving tons of qualified traffic to the website, which now rolled out a red carpet for them to find answers and a way to reach out. Rather than paying for visibility, we earned it. Today, the firm ranks on the first page of search results for over 400 local legal keywords and keyword phrases, totaling an estimated 38,390 searches each month. All of this was achieved by publishing high-quality content written for people and optimized for search engines. 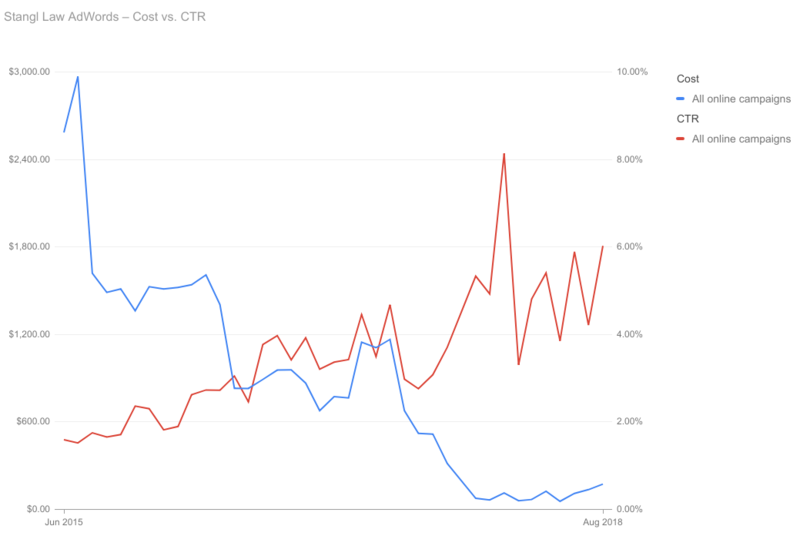 The two charts below demonstrate how we continue to do more with less – weaning the firm off expensive Google ads while achieving better clickthrough rates (CTR) with the few ads we keep. We now do more with $100 than they ever did with $5,000 – all while boosting organic website traffic to levels the site has never even come close to in the past. Today, our lead generation program works so well, it’s prompted us to solve a new problem: what to do with excess leads. Our idea? Establish a referral network so other firms can buy the leads our client is too busy to take on himself. Not the worst problem to have. A simple way to quickly pass leads onto attorneys. Attorneys want to follow up with leads as soon as they come in. To make that process lighting fast, we implemented a simple SMS text notification system that fires off a text the moment a new lead comes in. 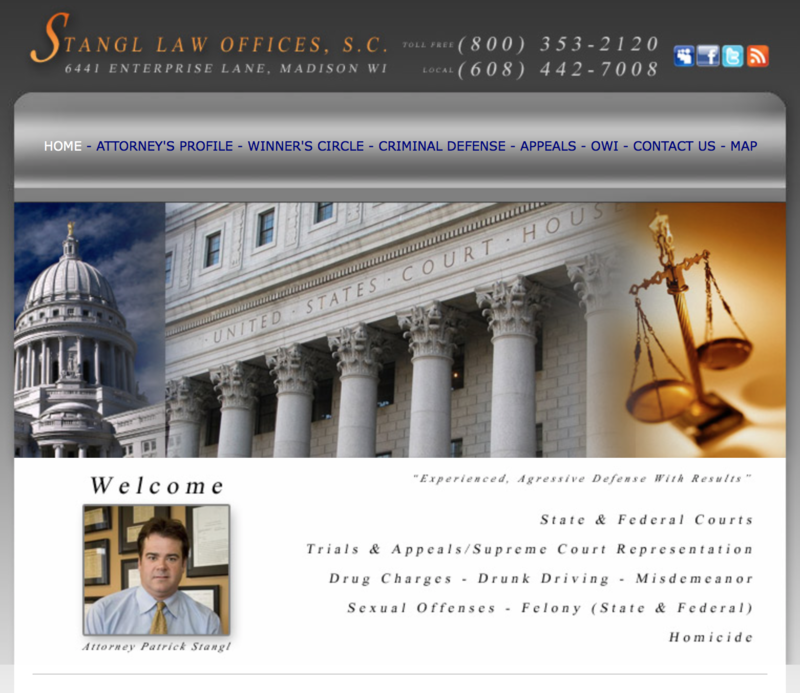 At that point, an attorney can reach out directly or pass it off to the secretary for later follow-up. 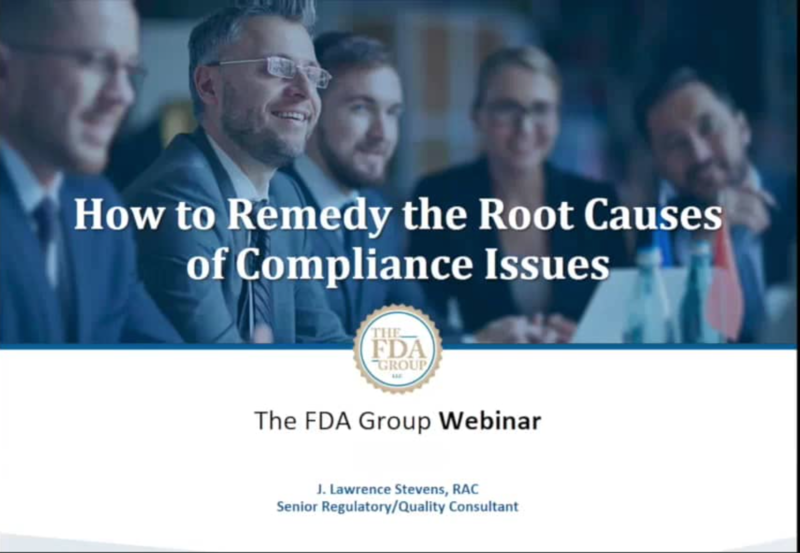 In 2015, The FDA Group, a pharmaceutical and medical device consulting company was wrapping up its most successful year to date and approached us to reach even loftier goals in 2016. Despite their rapid growth, they had one frustrating weakness: a poor approach to lead generation led by an agency whose results weren’t generating the business needed to sustain their pace. 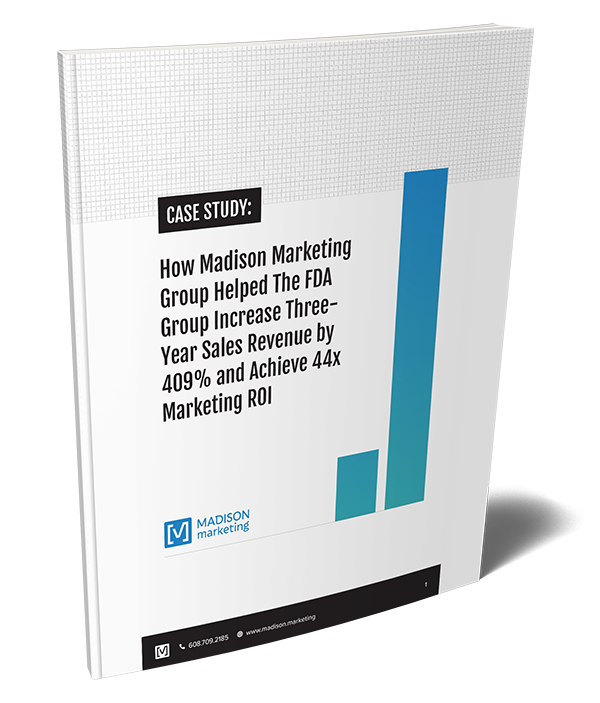 Since kicking off our lead generation program in early 2016, The FDA Group has seen a 231% increase in average quarterly web-generated sales revenue, and 30 times more digital marketing ROI overall. Here’s how we turned things around and continue to sustain their growth. A website powered by marketing automation. 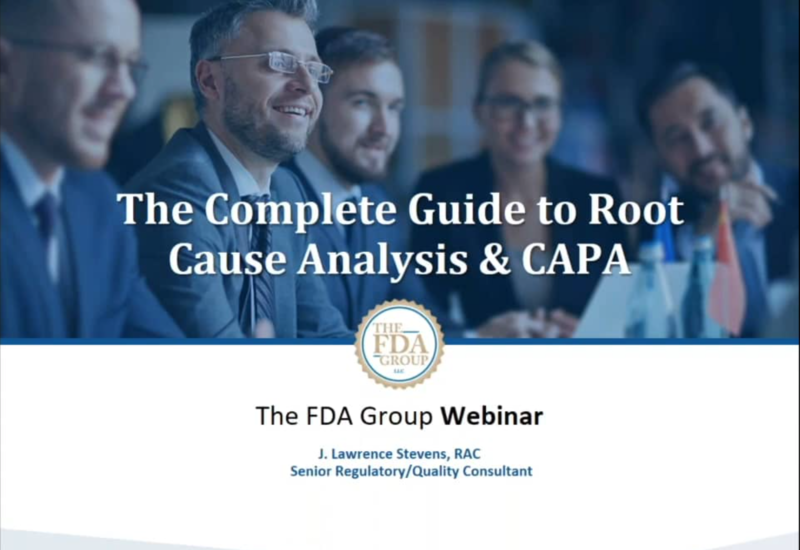 The FDA Group’s existing website offered some information for prospects, but nothing near the level of value needed to generate leads at the volume they needed to meet their sales goals. To turn their website into a powerful lead gen tool, we began by migrating it to HubSpot, a robust marketing automation platform. This enabled us to plan, manage, and report on all of our lead generation efforts from one place while tracking lead behavior from page to page. An inbound marketing strategy fueled by powerful premium content. With the website set up, we got to work enhancing the firm’s existing marketing pieces by vastly improving the quality of their content and wrapping them in beautiful new designs. What were once glorified Word documents offering just a few paragraphs of light information became genuine industry whitepapers with professional, branded designs and actionable advice for prospects. These whitepapers, which we consistently create each quarter, are filled with valuable information that prospects would otherwise need to hire a consultant to receive. This, combined with keyword research to uncover the topics of top interest to write about, make these resources high-powered lead magnets prospects are more than willing to pay for with their contact information. To get these whitepapers in front of as many prospects as possible, we break them down into their subtopics and publish them as keyword-focused blog posts – all pointing back to the whitepaper as the next step to learn more. In addition to whitepapers, we also partner with the firm’s consultants to host free webinars on the topics we cover – an easy, but incredibly effective way to build their consultants’ credibility while also generating leads with relevant projects in mind. A smart social ad strategy to accelerate growth. 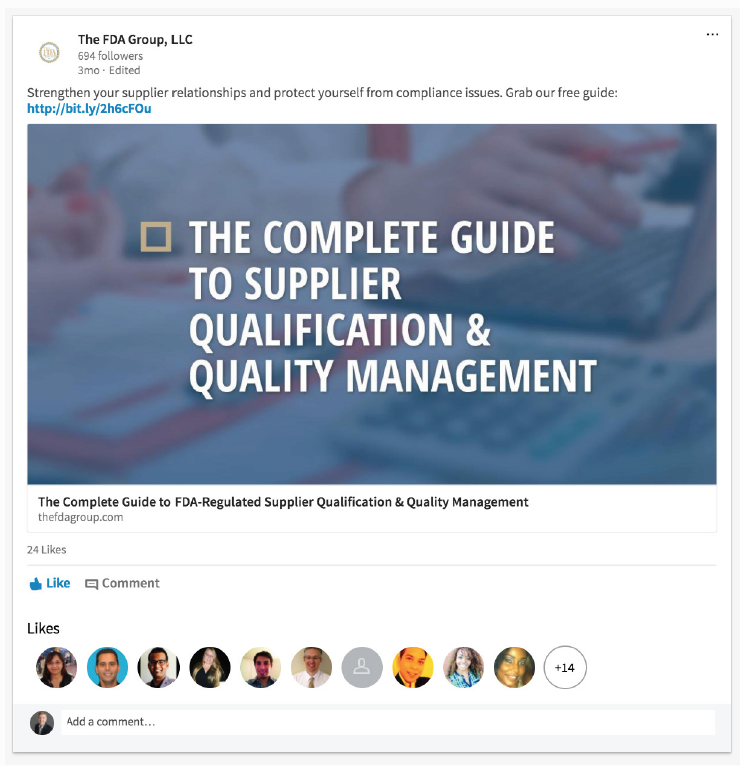 Rather than sitting around waiting for prospects to search them out, we put something helpful directly into their social feeds whether they know they need help or not. Landing even a single consulting engagement more than pays for the ad spend (and much, much more). Dive deeper into our lead generation case study or contact us today to talk about partnering on a lead gen program of your own.